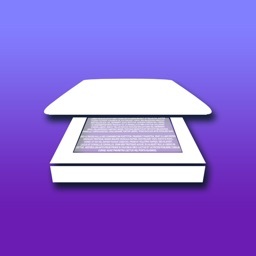 Super Scanner Pro: Document & Receipt PDF Scanner with OCR by iCubemedia Inc.
Super Scanner Pro allows you to quickly and efficiently scan, store and share any document in high quality PDFs. 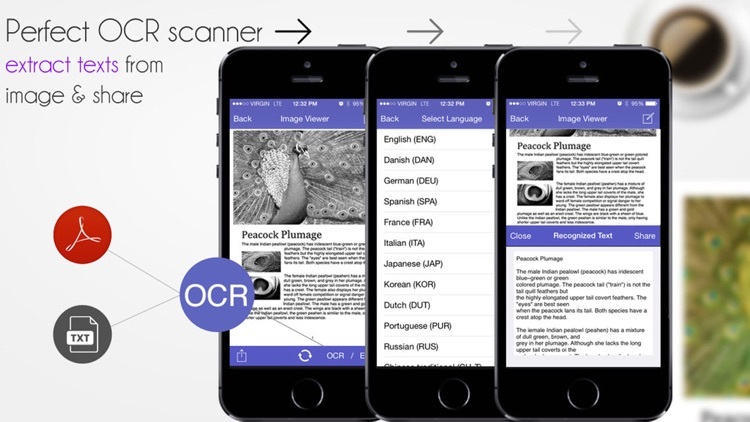 The only scanner app that offers free multi language OCR text extraction in editable text. Auto-cropping, image enhancing sharing and printing all with a ONE-TIME PURCHASE and NO monthly or yearly subscription fees. 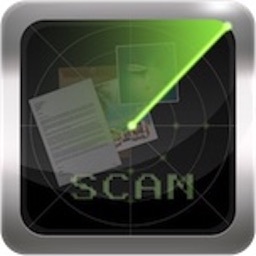 Scan and digitize with your device’s camera, all kinds of paper documents: receipts, notes, invoices, business cards, forms, certificates, recipes, etc. 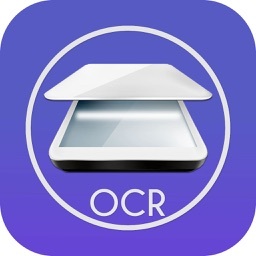 Off-line OCR (optical character recognition) recognizes and extracts text in document images for searching, editing or sharing in .txt file format. OCR feature will recognize multiple languages, including non-Latin languages like Japanese and Chinese. 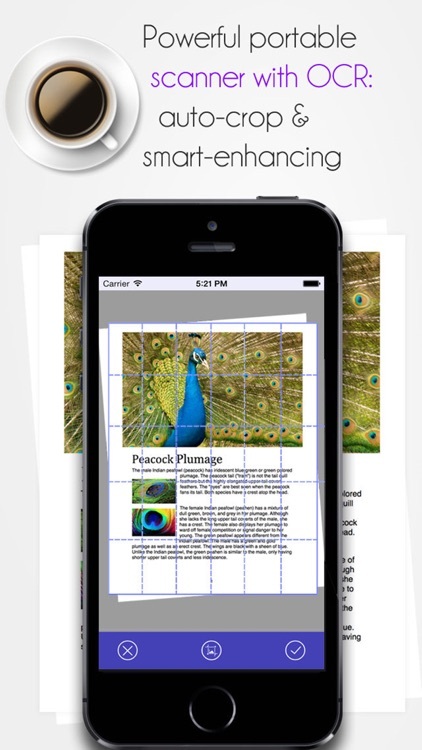 Optimize your scans with manual or auto-cropping and auto enhancing for clear high resolution images. 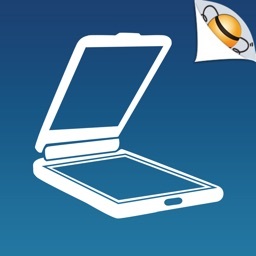 Annotation tools for making notes on documents or filling in and signing PDF forms. Share via: email, print and “Open in…”. Tools include: Pencil, Paint brush, Text and Shapes. 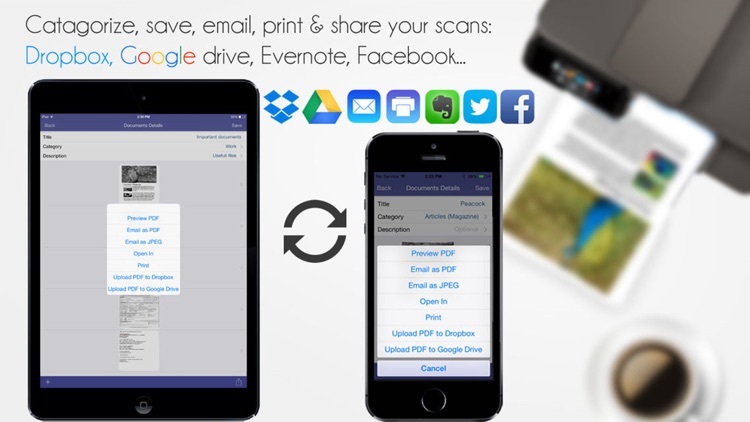 Share multi or single page documents in PDF or JPEG format with others using: email, GoogleDrive, DropBox and all Social Media sites. You can select “Email to myself” when document sharing. 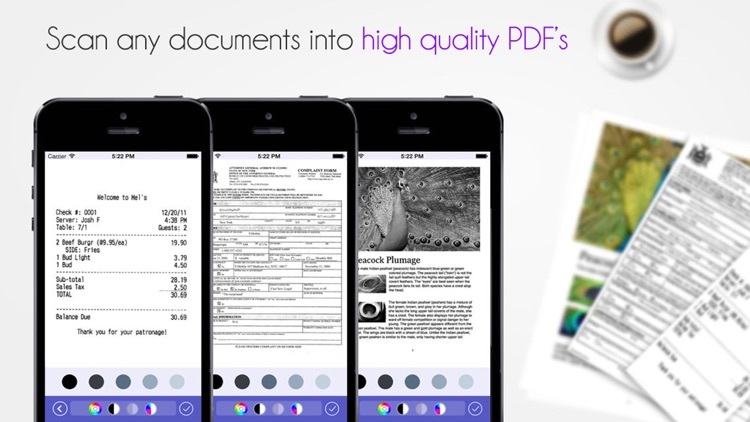 Categorize your documents so you can locate them easily. Select from one of our preset categories or add your own. Set Passcode protection to prevent others from snooping in your private documents.